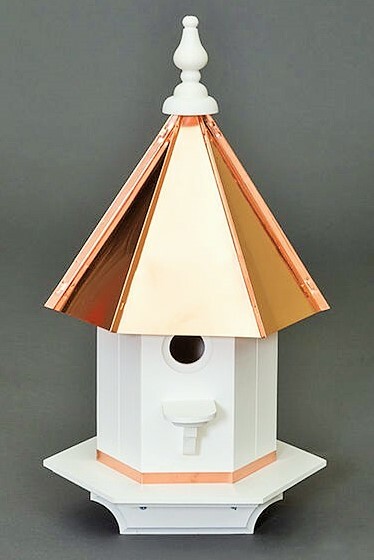 Vinyl (polyvinyl chloride (PVC) sometimes referred to as Poly and the AZEK® Brand Cellular PVC (a synthetic wood that will never crack, warp, or rot) is a material that is impervious to moisture, salt, and insects. 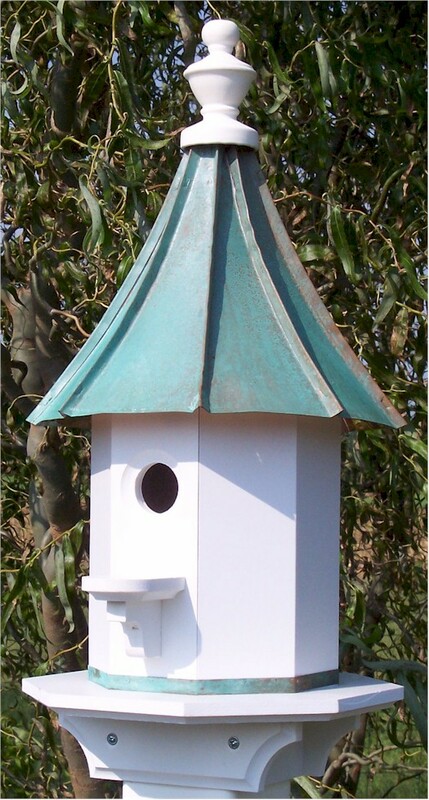 These attributes make its use in constructing outdoor products a no-brainer. 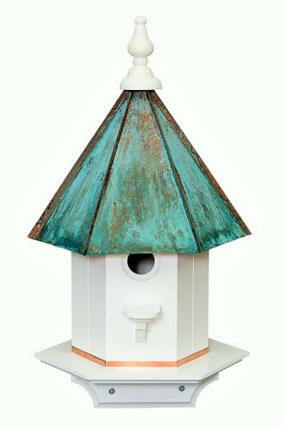 It is maintenance-free and will not splinter, crack or fade and never needs painting. 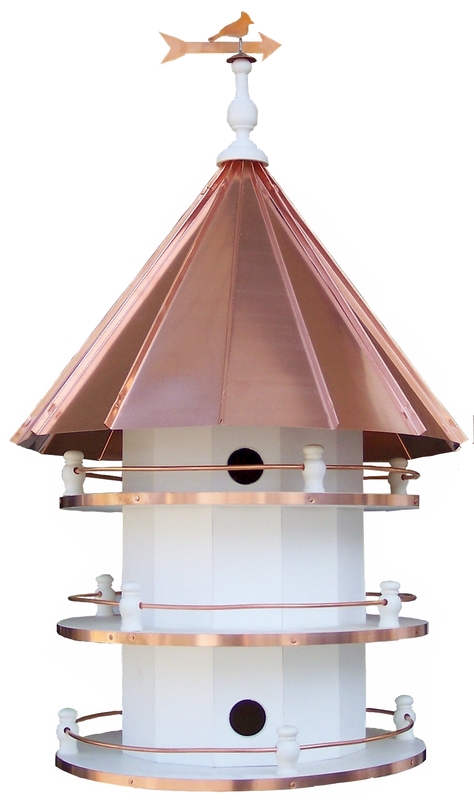 This 6-Hole Purple Martin Birdhouse is made with maintenance-free Azek and has a High heavy-gauge copper roof that is is topped with a decorative lathe turned finial. 31" high x 16" wide. 4"x 4" post mount included. 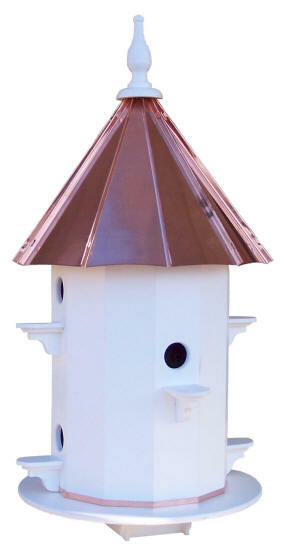 The roof lifts off with the compartment section for easy cleaning. 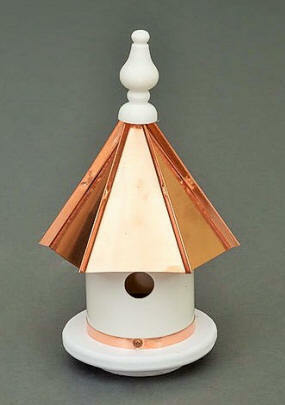 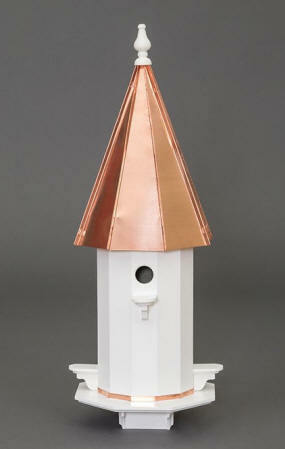 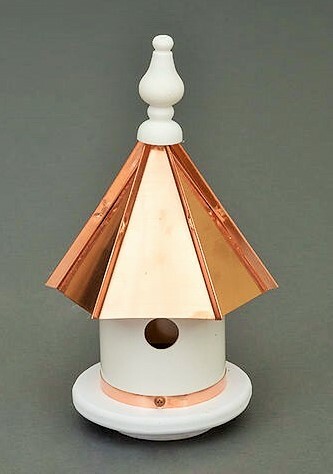 This Woodpecker Birdhouse with Curved Rustic Copper Roof is constructed using super long-lasting Azek. The curved heavy-gauge copper roof has been treated to give the appearance of timeworn copper. 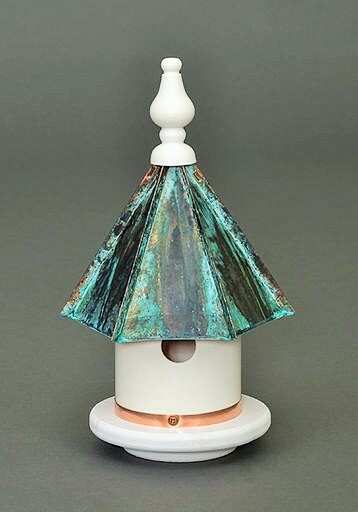 25" high x 12" wide. 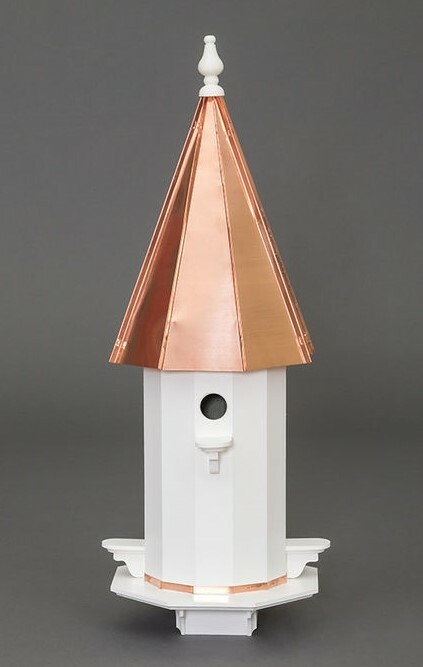 Hole = 1.5" diameter. 4"x 4" post mount included. 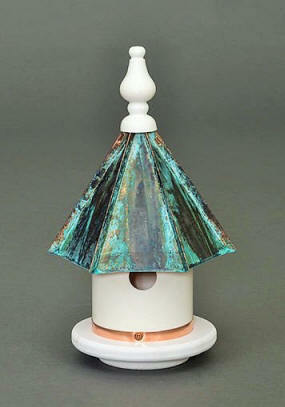 Note: This Woodpecker House is only available with the Patina Roof.